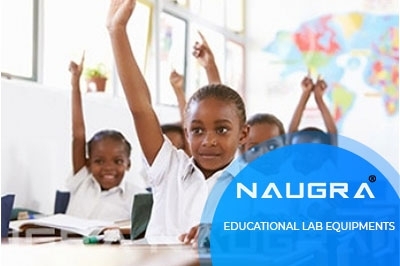 Naugra Export is a renowned educational lab equipments manufacturers, suppliers and exporters in India. We provide top quality and durable educational laboratory equipments at the very competitive prices. Our management team comprises of devoted professionals, who have in-depth knowledge in their respective domains. We are using supreme quality raw materials to manufacture all kinds of educational laboratory instruments. We have the best team of research and development for testing of our educational lab instruments. Some of our widely used Educational Laboratory Instruments are Geography Lab Models, Teaching Equipments, Educational Charts, Whiteboard & Boards etc. Naugraexport is a leading electronics engineering laboratory equipments manufacturers, suppliers and exporters from India that offers wide range of electronics engineering lab instruments at most competitive prices. These lab instruments are manufactured in compliance with the international quality standards. We are manufacturer and supplier of all types of electronics engineering laboratory instruments for scientific instrumentation industry, university and research labs, science colleges, schools, engineering colleges, polytechnics, vocational training institutes, laboratories and various industries. 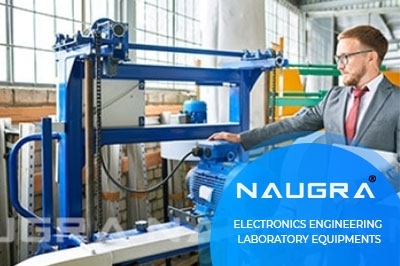 Naugraexport understands the requirements and complexities in the electronics engineering laboratory instruments industry, so our team of skilled and qualified professionals are dedicated to design and manufacture innovative and high-quality electronics engineering lab equipments that guarantee its smooth performance and long lasting service. Some of the electronics engineering laboratory equipments are basic electronics laboratory equipments, digital electronics lab equipments, microprocessor lab equipments, microwave engineering lab equipments, industrial electronics laboratory equipments, telecommunication lab equipments, instrumentation and control lab equipments, electronics workbench etc. 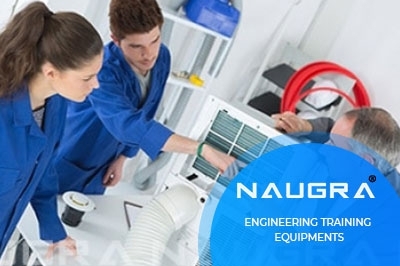 Naugra Export is a prominent engineering training equipments manufacturers, suppliers and exporters in India. We offer a wide range of engineering training instruments which are highly preferred for their quality & timely shipment to the clients and therefore these equipments are widely used in many educational institutions, industrial laboratories and research institutes. Naugra Export is a leading industrial skills training equipments manufacturers, suppliers, and exporters in India. We believe in meeting customer requirements using innovative and best technology coupled with global standards. Our industrial training equipments fulfill international quality standard & passed through many standardized processes of testing. Few of our industrial skills training instruments are end mill grinder, drill machine, shearing machine, press brake, automobile machines, tool room machine, tool grinder, chamfer machine etc. 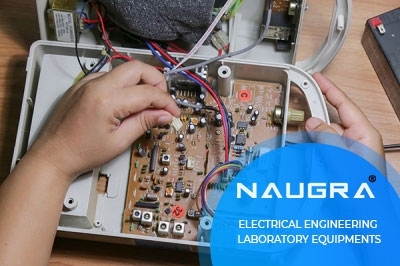 Naugraexport is a leading electrical engineering laboratory equipments manufacturers, suppliers and exporters from India that offers wide range of electrical engineering lab equipments at most competitive prices. These lab equipments are manufactured in compliance with the international quality standards. Our skilled professionals are using excellent raw material and latest technology to develop and maintain the high-quality standards of electrical engineering lab equipments. We are manufacturer and supplier of all types of electrical engineering laboratory equipments for scientific instrumentation industry, university, research labs, science colleges, schools, engineering colleges and various industries. Some of our globally demanded and appreciated electrical engineering laboratory instruments are data acquisition system, chemical reaction, digital storage oscilloscopes , ic tester, machine lab cut models, electrical motor training system etc. 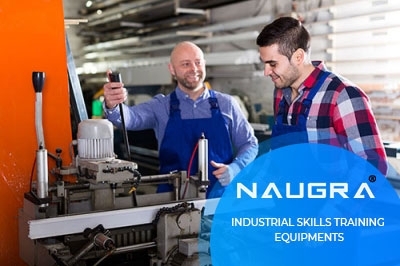 Naugraexport has been known for best vocational training laboratory equipment manufacturers, suppliers and exporters in India with their market across the globe. 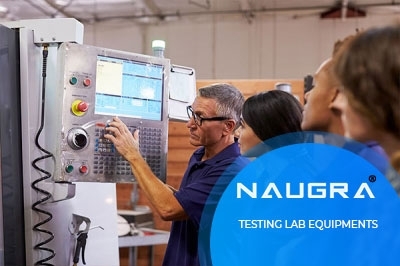 Our aim is to provide vocational training Lab equipment that completely satisfies the initial & continual needs of our clients and meet their expectation level with our unprecedented services. Few of our vocational training laboratory instruments are workshop tool lab, washing machine lab, soil mechanics lab, textile engineering lab machines & instruments, hydraulics & pneumatics lab, welding lab workshop equipments, plant engineering & welding lab equipment, concrete laboratory etc. 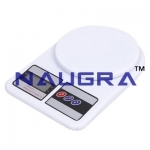 Naugra Export is a leading testing lab equipments manufacturers, suppliers & exporters in India. We are providing a wide range of testing lab instruments around the world at the very competitive prices. Be it routine testing or product compliance certification, we assure you to get your product to the marketplace on time with quality assurance. Few of our Testing Laboratory Equipments are ndt metal testers, rock testing machines, brinell hardness testing, bitumen testing instrument, gas chromatography, soil testing, oil petroleum & paint testing, metal test equipments etc. 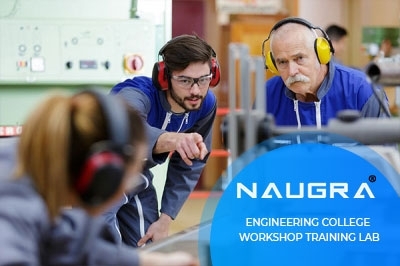 Naugra Export is a renowned engineering college workshop training lab equipments manufacturers, suppliers and exporters in India. Catering with efficient and valuable services to its valued clients has been the motto of our company. We are supplying our high quality engineering college workshop training laboratory equipments to various colleges, universities, research labs etc at the very competitive prices. Some of Our engineering college workshop training lab instruments are agriculture lab equipment repair lab, design cutting & tailoring, civil lab instrument, taxidermy & tannery, cosmetology, automotive & heavy equipment repair lab etc. 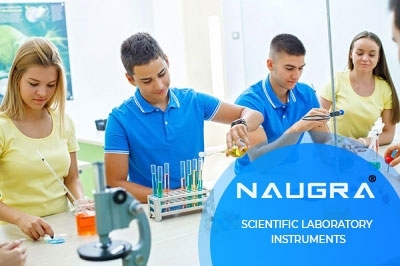 Naugra Export is a leading name in scientific educational instruments manufacturers, suppliers and exporters in India with a wide range of quality equipments for your lab. Our effort to develop high-quality scientific laboratory equipments to provide outstanding solutions for laboratories all over the world. We are exporting a wide range of scientific educational equipments all around the world at the most competitive prices. Our widely used educational scientific equipments are lab refrigerator & freezer, measuring lab instruments, laboratory heating instruments, platinum lab equipments, laboratory balances, anlaytical lab instruments etc. Naugra Export is the best entomological equipments manufacturers, suppliers and exporters in India. We have a wide range of entomological instruments which are manufactured by our experts using the latest technology under the guidance of professionals. We are exporting high quality entomological equipments all over the world at the most affordable prices. 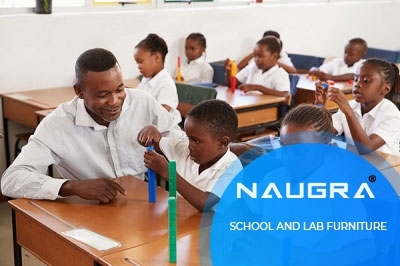 Naugra Export is a leading school and lab furniture manufacturers, suppliers and exporters in india. We produce quality school and laboratory furniture for long lasting uses at the most competitive prices. We offer a wide range of school furniture for classrooms, labs, canteens and library which ensures quality, durability and attractive designs used in various schools, colleges, educational institutions etc. Our dedicated engineers, technical experts and other servicing executive are always involved in finding new ways to provide best quality school and laboratory furniture to our clients.